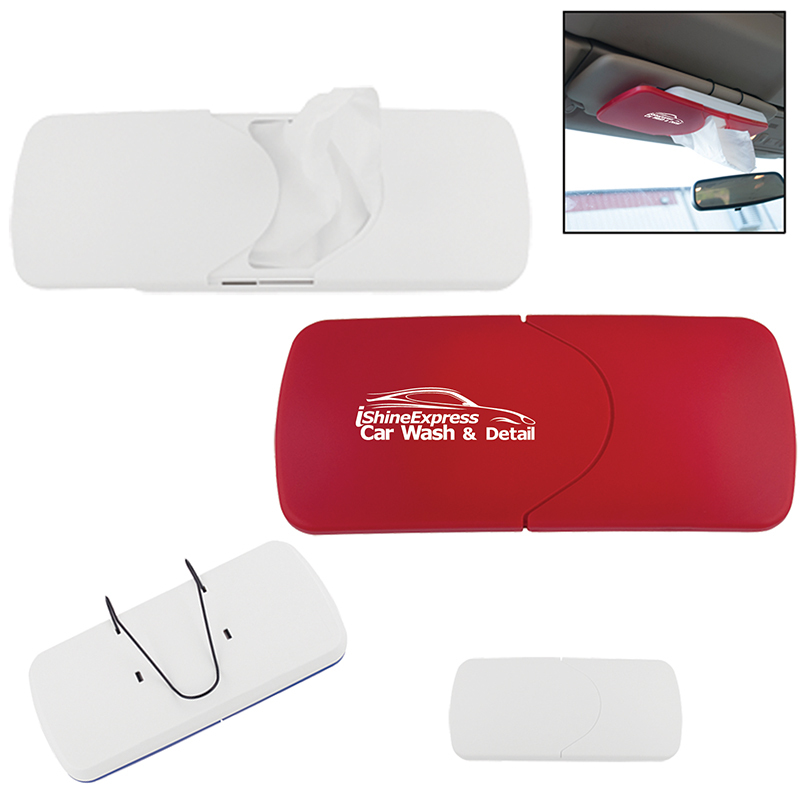 • ABS plastic tissue box with back hook designed to slide on car visor. • Purchase includes approx. 30 2-ply tissues (2-ply) measuring approx. 6 3/4"x7"
• Tissues come inserted into box. • Refillable with standard tissues. • Back of case also features instructions in plastic mold.